Wells Fargo builds stronger relationships amongst co-workers by hosting Build-A-Bike® team building event in Minneapolis, Minnesota. 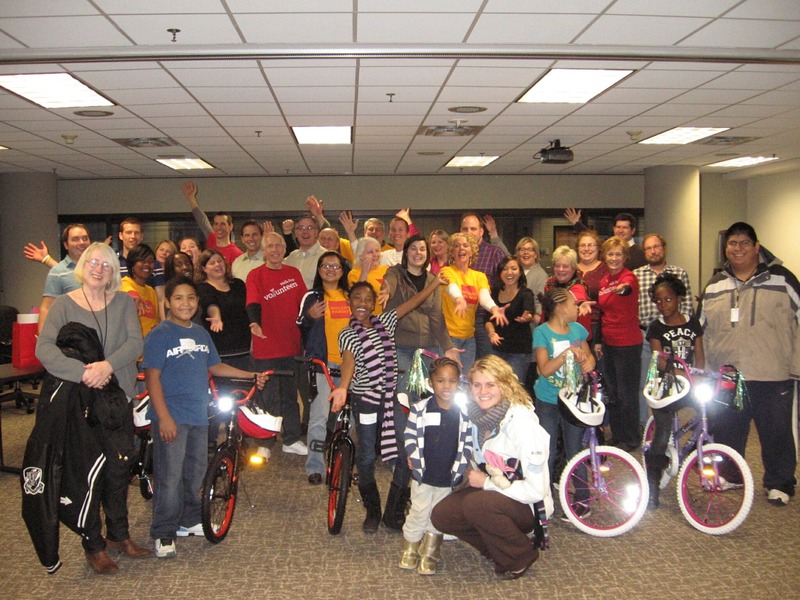 By doing the Build-A-Bike® team building event, the Wells Fargo team learned things about each other they didn’t know before, and had to come up with answers to questions that required people to work together instead of working in isolation. When the kids came in to receive the bikes at the end of the event, it was a complete surprise for the participants. They left knowing they had made a difference in these kids’ lives, and knew each other a little better than they did before the event. Bringing members of a company together through a team building event is a great way to strengthen relationships and interact with people in a different atmosphere. While we often work as islands in a day-to-day work setting, participating in an event filled with teamwork activities can help build stronger relationships in the workplace, which make people more likely to work together to solve problems in the future. Plus, everyone had fun working together to build bikes for kids who value them more than the participants could ever know. The Build-A-Bike® team building event is a great way for companies to bring co-workers closer together, while also giving back to the community, whether you are in Minneapolis, Minnesota, or any other city in the U.S.